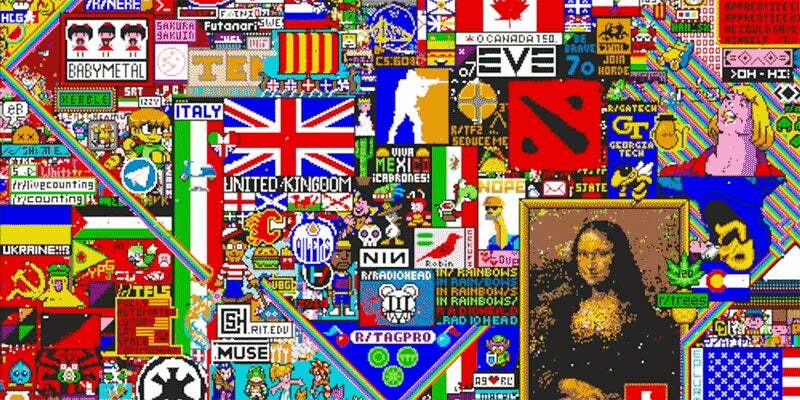 Earlier this month, Reddit pulled off one of its greatest accomplishments ever: getting users to spend 72 hours painstakingly making art together one pixel at a time. 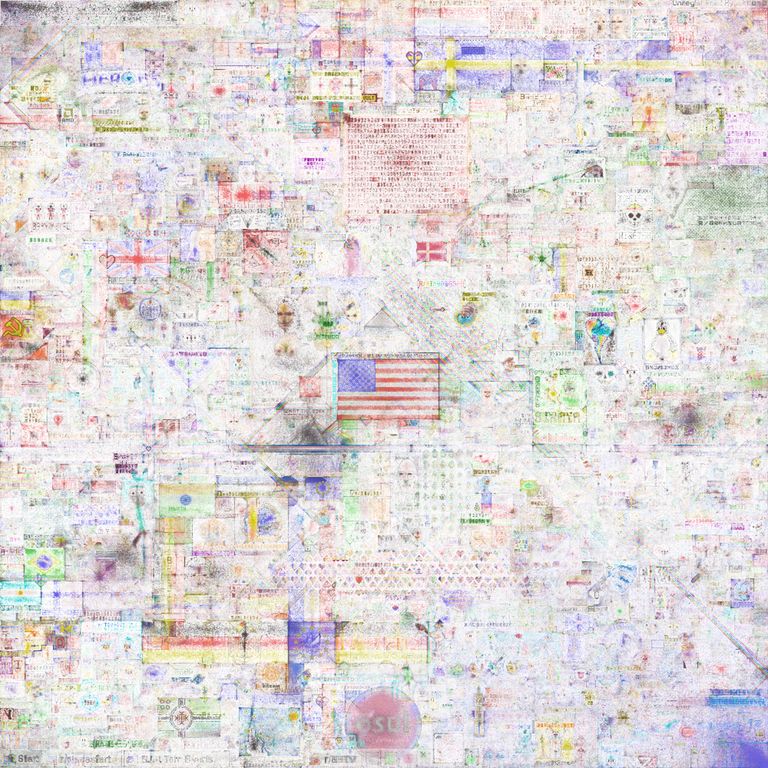 Now, one Redditor has created an atlas that documents the stories of each individual art project that contributed to this glorious mess. 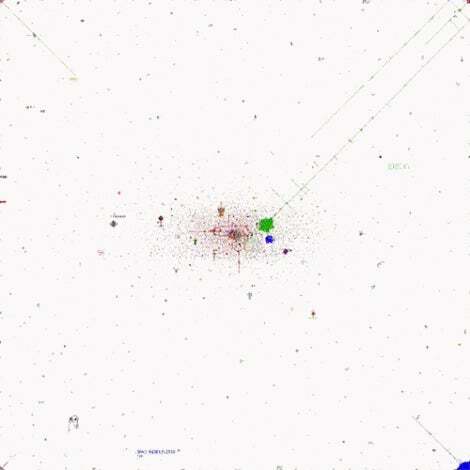 If you missed the saga of r/place, the concept was a limited time sitewide collaboration in which users were allowed to colour in one pixel at a time. They then had to wait five minutes before they were allowed to fill in another pixel. This, of course, led to turf wars over space on the canvas but the methodology also required people to coordinate their efforts if they ever hoped to pull off an actual image. Basically, tons of subreddits collectively decided what to work on and the most passionate users won their rightful space on the canvas. Motherboard spoke with Roland Rytz, a 24-year old computer science student at the Bern University of Applied Sciences, about the atlas he started to enshrine the history of r/place in one place. Rytz has received thousands of submissions detailing how the various sections of art came together and at first he fact checked them. That process eventually became too time consuming and it works with a Wikipedia-style self-policing philosophy now. The young programmer says that any abuse is usually quickly corrected. See that big arse Mona Lisa that dominates the page? Well, that was of course organised by the r/MonaLisaClan, a group of people that really like the Mona Lisa. 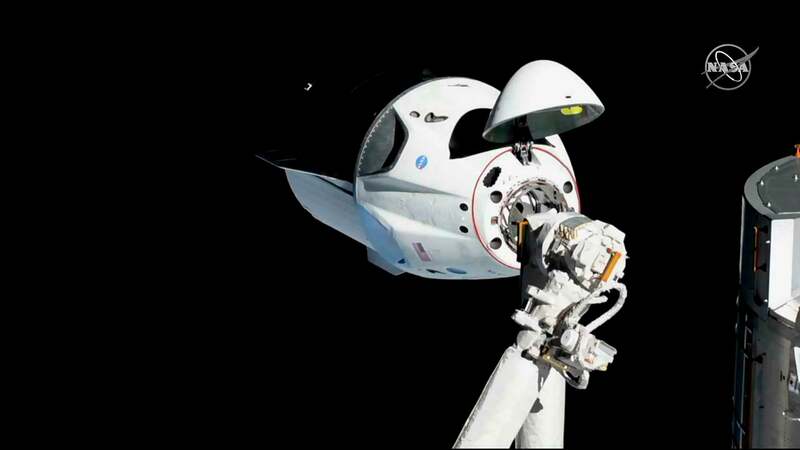 But it's the individual wars for space that produce some of the most interesting narratives. Rytz highlights the story of r/France and r/de arguing over who's flag will occupy a certain section of the screen. The two subreddits eventually agreed on the European Union flag with a dove in the center. But my favourite conflict that I've found through perusing is that of r/donaldglover vs. r/theempiredidnothingwrong. In honour of Donald Glover being cast as Lando Calrissian in the upcoming Han Solo film, his fans wanted to defeat the Empire's logo by overtaking it with the cover of Glover's album "Because the Internet." Alas, the Empire was too strong and they eventually won the day. Better luck next time, Lando. You can check out a ton of other stories at The r/place Atlas and see a time-lapse of the project embedded below.